2018 marks a 45-year crescendo of artistic discovery and reinvention, against the opulence of career highlights and accolades for one of South Africa’s revered musical icons. A student, teacher, producer, artist, composer, engineer, and executive, Don Laka, is a connoisseur of note, with a platinum sales track record that speaks volumes of a man who has achieved mastery of a vision unfolding. Amidst the medley of voices that are unique to South Africa, his is amplified by the rebellious streak that has seen him, single-handedly strike a chord with the young and not so young to build the Kwaai-Jazz brand – an eclectic fusion of classical, traditional, modern and all that jazz; creating a soul-drenched, uniquely South African experience that has enthralled hordes of enthusiasts across the country and many parts of the world. Like so many venerated icons in their respective disciplines, Laka’s career is a testament to the relentlessness of the rising Don, without fail. He continues to be an instrument to the evolution of the South African music industry and a growing voice in the diaspora. He is a visionary, a strategist, and technician unbound by symphonic ribbons that tie the essence of his artistic souls’ cape. He aptly states: “I have taken the ‘scary’ out of jazz and made it accessible to everyone”.’ So, the next journey is to do likewise to classical music and African music’. Boasting six, multiple platinum award albums under his belt as an artist, Don’s latest masterpiece celebrating 45 years, “REFLECTIONS ” is an all-access-pass to the soul of a man possessed. It’s audacity challenges the distance that even the brave dare not go. Don has melted all genres into one-fold that shows that only the maestro can deliver on such a diverse menu of music. REFLECTIONS feature South Africa’s top artists who forged a collaboration with the master on this gem including: Dr. Malinga, Mafikizolo, Thebe, Kelly Khumalo, Emtee, Bholoja, Sha Sha & Big Dreams. Featuring 14 new compositions, this project is one of the grandest to emerge in our recent history meriting a unique and yet astute resemblance to the daring undertakings of the likes of Herbie Hancock. The concept, which was conceived in1995, only came into fruition this year, amidst a spectacle of artists who continue to add to the vibrancy of his music. The selection, of the music on the cd was inspired by the simplicity and visionary manipulation of the melody, harmony and rhythm, by the man himself. Laka’s musical prowess as a pianist, arranger and producer in this album, exploits his range in crafting stylistically different expressions, that border a myriad of realms presented by the guest artists, whilst capturing each voice’s authenticity with panache including his own. His approach to music and business is enveloped by a consciousness that transmutes conformity to adapt to the ever-changing environment that demands foresighted excellence. Thus, the multiplicity of skills he has acquired in his musical journey is reflected in his works, complementing creativity with technique, earning him ovations long after the curtains have rolled for the Don has yet to take a bow. 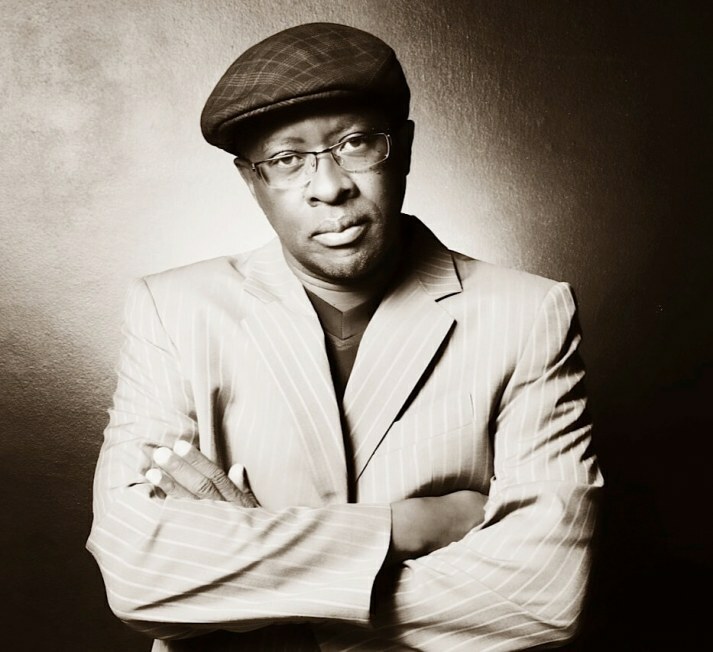 Don Laka was born in 1958 near Pretoria in Mamelodi, South Africa. He was the first child in a family of five. In 1969, he formed his first band and made his first recording in 1972, which featured Ray Phiri who’s played a major role on Paul Simon’s Graceland as a co composer and guitarist. As one of South Africa’s most innovative contemporary artists and producers, it’s hard to believe Don Laka’s career began back in the politically volatile days of 1976. In that year, Don was playing bass and singing backing vocals for a group called The Flood, which enjoyed a huge hit with “Let Me into Your Life”, selling a staggering 320 000 units. Don’s talent was elevated when he enrolled at the Royal School of Music, ultimately earning his Grade 8 on the classical guitar and obtaining his licentiate in high school music teaching in 1979. He would have pursued music further, but apartheid laws prevented him from enrolling at the Pretoria Conservatoire. Not to be defeated, Don continued to pursue music whilst working as a clerk in a grocery store. He played with many South African notables such as Joy, Brenda Fassie, Sipho Mabuse and Sankomota. Don recorded his first big hit with a group called “Umoja” before moving on to form his own British-rock influenced band, “Ymage”. The group performed together for 10 years and recorded no less than 12 Albums. In that decade, Don had an album produced by Tony Visconti (Bowie, T Rex) who passed on much of his knowledge to Don, allowing him to explore new territory as a producer and arranger. In the 90s, after a stint living in Germany and playing in a South African Jazz/Mbhaqanga band, Don formed an independent record label, Kalawa Jazzmee and was the production and arranging force behind the likes of Brothers of Peace and Boom Shaka. Don soon began recording solo projects and producing other artists. His songs and piano playing proved to be popular with other musicians, who asked him to write, produce or perform on their records. In 1990, Don began writing big orchestral arrangements for Sibongile Khumalo. She performed his songs at notable venues such as the National Symphony Orchestra of South Africa. In 1991, he also collaborated with Yvonne Chaka Chaka and Rebecca Malope. In the late nineties, Don’s solo career was given a substantial boost with the release of Destiny, a fusion of hip-hop, traditional African rhythms, classical music and pop that saw Don playing drums, bass, guitar, piano and soprano Sax. Two more equally acclaimed albums, “Supernova” and “Pyramid” followed the successful album. His career blossomed further by producing and performing with artists such as Ray Phiri, Brenda Fassie, Sipho Mabuse, Mango Groove, Johnny Clegg and Maz amongst others. He is now regarded as one of South Africa’s premier producers. Laka attests to the fact that the highlight of his producing career was producing the late Hugh Masekela’s recent albums “Black to the Future” and “Sixty” where he combined the latest rhythms without neglecting the music that created Masekela’s endless pool of loyal fans. His latest production of Hugh Masekela’s ‘Jabulani’, has earned them a Grammy 2013 nomination for the best world music CD. His participation in the album earned him FNB South African Music Award nomination as Best Producer. Don started a Record Company together with Oscar Mdlongwa. The company is called Kalawa Jazzmee Records and is the first successful black record company in South Africa to produce, record and market their own product without help from any major label. Kalawa Jazzmee’s artists dominate the South African music landscape and are responsible for much of the new music that has changed the country’s youth today. Don has often spoken at music seminars and panels on the issue of quality and standards of South African Music. He has also toured internationally. In 2016 Don advocated for South African Music to be played on our local airwaves and won a hard, well fought campaign to archive 90% of SA music on radio, which was a milestone that one man could achieve. This legacy will remain in the history of our music for a longtime.